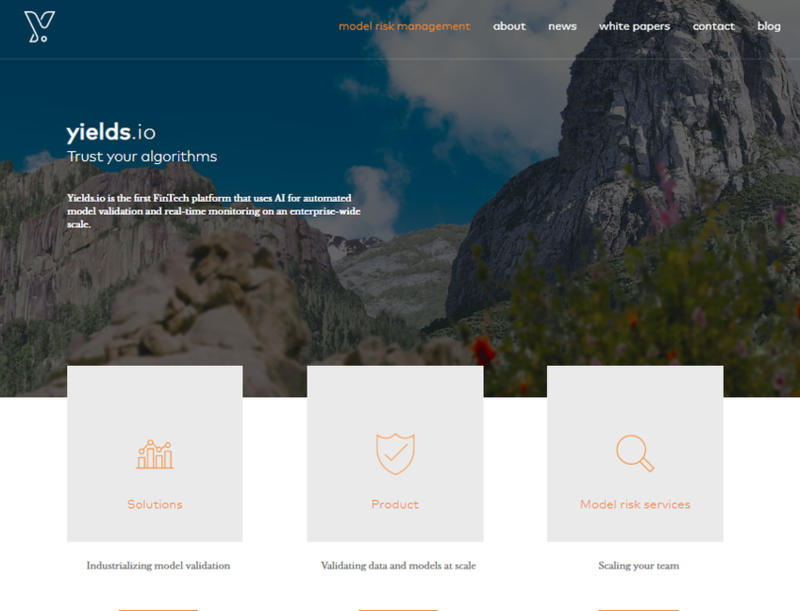 YUields.io is an Offering model validation products and services. Yields.io - A digital platform for model risk management. It offers automated model monitoring and validation services, identifying issues in algorithms and turning them into actionable business insights. Their platform assists C-level executives identifying the key areas of model risk across the enterprise. It also increases the productivity of validation teams by generating regulatory compliant documentation.